Kuwait, September 5, 2016: Jumeirah Messilah Beach Hotel & Spa is offering guests the most memorable stay during the upcoming Eid Al-Adha -holiday. During the festive period, the luxurious five-star hotel is providing families and friends with the ultimate experience. From the most luxurious rooms and tantalizing menu options available at the idyllic resort’s restaurants, to bespoke treatments provided at the country’s Best Luxury Resort Spa, as voted in 2015 by the World Luxury Spa Awards. “Eid Al-Adha is one of the most important events during the year and we look forward to being a part of these celebrations, while continuing to offer memorable experiences suited to the tastes of our guests,” General Manager Hakan Petek said. Whether looking to unwind and relax, or to celebrate in a unique environment, guests are welcomed to take advantage of the hotel’s array of room options. From the well-appointed Deluxe Rooms, exquisitely decorated and offering all the amenities to ensure a relaxing stay, to the Five-Bedroom Villas that provides views of the glittering Arabian Gulf, the hotel’s majestic pools and the hotel gardens, Jumeirah Messilah Beach Hotel & Spa has a room to suit all needs. The needs of younger guests are catered to with the hotel’s Sinbad’s Kids’ Club and The Scene Teens Club. 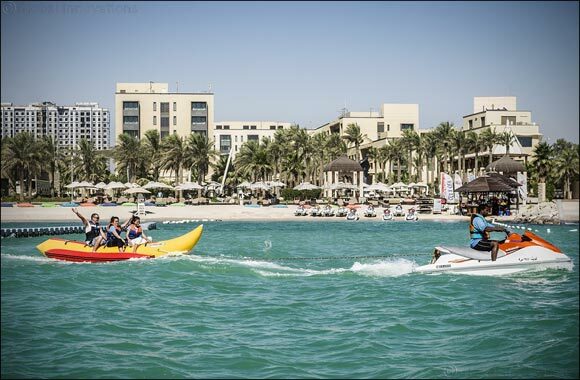 With the latest computer games and table-top activities, to watersports fun, children of all ages will be inspired, entertained and engaged. While Eid is the perfect time to gather on one table, the hotel’s mouth-watering buffet restaurant, Garden Caf�, is providing a special Eid offering. Live cooking stations, featuring mixed grills, tandoor, seafood dishes, ouzi and other favorite Arabic specialties are all on the menu. During lunch and dinner from 10 September through to 12, families and friends can indulge in a variety of dishes, while enjoying the restaurant’s panoramic views.